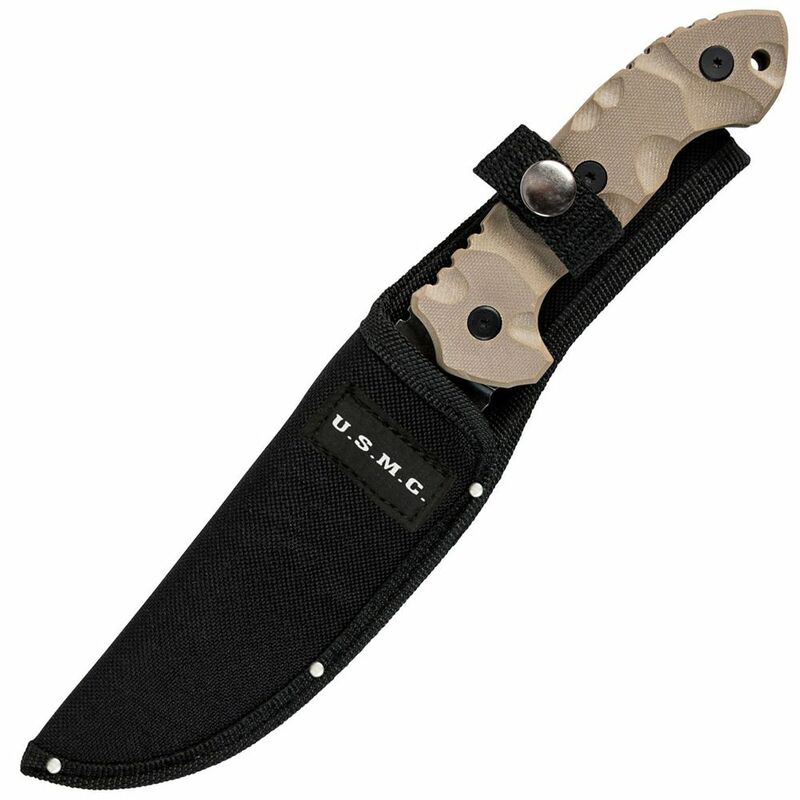 Represent the fighting spirit of the Marines and carry this United Cutlery USMC Fighter Knife. A black stonewash finish covers the stainless steel blade to give it a fierce tactical look. 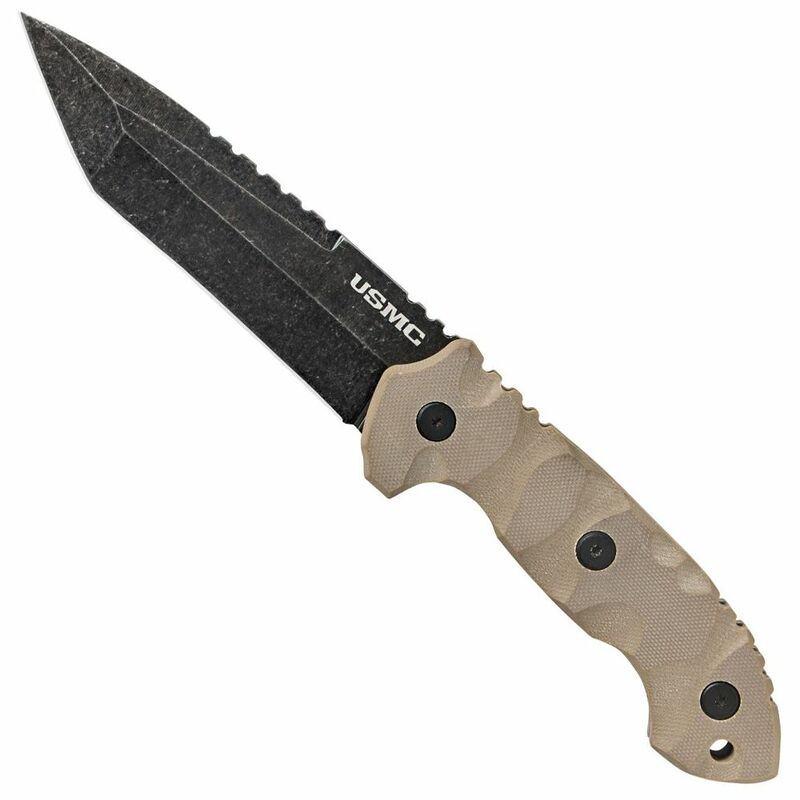 Its textured G10 grip provides easy handling when maneuvering the sharp tanto blade point.